Education in Assam, Assam Higher Secondary Education, Assam Education. Assam is the developed state at national level and state level in terms of education, several top educational institutes are found in Assam. To improve education in Assam innovative educational policies are introduced by the government. Assam Education Board is under control of Assam education board minister. Education in Assam is divided in different levels such as pre-primary, primary, middle, high and higher secondary schools.Free and compulsory education is provided in Assam to the students up to the age of 14 years. Most of the schools in Assam are affiliated to state boards and some of the schools are affiliated to the Central Board of Secondary Education (CBSE). Schools in Assam are under control of the Directorate of Elementary Education, Assam. Apart from state boards schools there are also schools run by CBSE and international boards. Don Bosco High School and St. Mary’s High school are the well known schools in Assam. Well known institutions in Assam are National Institute of Technology, Indian Institute of Technology, Tezpur University and several others. Gauhati University is the oldest university in Assam. 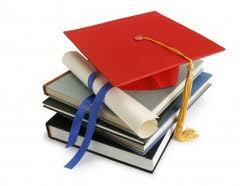 Various courses offered by the colleges and universities in Assam are B.A. (English, Hindi, Bengali, History, Political Science etc. ), B.Sc. (Physics, Chemistry, Maths, Botany, Zoology etc. ), M.A (English, Hindi, Economics, Bengali, History, Political Science etc), M.Sc. (Maths, Physics, Botany, Zoology, Chemistry etc), various technical streams, medicine etc. Indian Institute of Technology and National Institute of Technology are the two leading universities for technical education in Assam. Usually the medium of instruction in Assam is Assamese, though some school of Assam offers English as medium of instruction. Schools affiliated to CBSE board use English as the medium of instruction.